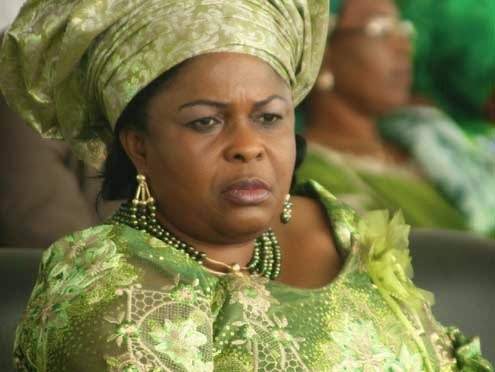 The outgoing first lady,Dame Patient Jonathan, has been advised by the executive director, Voice of Widows, Divorcees and Orphans Association of Nigeria (VOWAN) Altine Abdullahi to emulate her husband, the president, by graciously allowing the African First Ladies Summit to hold as originally scheduled in July. In a press statement made available to newsmen, Altine described as ‘indecent’ and ‘unbefitting’ the apparent desperation of Mrs Jonathan in rigging out the in-coming first lady, Aisha Buhari by hosting the summit two months ahead of the scheduled date of July. In a letter dated April 6, Dame Patience had pleaded for a change of date to enable her host the conference two weeks before she leaves office. Watchers described the haste to host the event as attempt at ‘rigging’. The African First Ladies Peace Mission (AFLPM) is an NGO and it is due to elect its president during the forthcoming summit.Mrs Jonathan was re-elected on July 26, 2012 at the 7th Summit in Abuja. The statement similarly advised the first ladies of the 52 member countries to stick to the original date of July in order not to disrupt its calendar. “Mrs Jonathan should emulate her husband by not interfering in the calendar of AFLPM for whatever reason. It is indecent to reschedule the summit and smacks of a hidden agenda and sheer desperation” the statement said.